The World Health Organization (WHO) states that a minimum of 25 litres of water per day is required to meet the basic needs of any human. However, in the US the per capita use is ten times that, averaging at 262 litres per day. Meanwhile, Canada is not much better at around 251 litres per person. It’s clear that the average household in North America currently uses an excessive amount of water, but surely there’s no harm in wasting water - is there? Unfortunately there is, and if we continue to keep wasting water at our current rate it will have huge consequences for our future generations. According to a report released by The World Bank and the United Nations (UN) last year, around 40 percent of the world's population is affected by water scarcity. The study, which was based on two years of research, says that 700 million people are at risk of being displaced by intense water scarcity by 2030. More than two billion people are compelled to drink unsafe water, and more than 4.5 billion people do not have safely managed sanitation services. "The ecosystems on which life itself is based – our food security, energy sustainability, public health, jobs, cities – are all at risk because of how water is managed today. The world can no longer afford to take water for granted," said World Bank Group President Jim Yong Kim. Utility providers play an important role in conservation and demand, and we will explain exactly how utility providers can help their customers cut down on water usage in the second part of this blog. For now, however, we will simply explore why water conservation is so important and look at some simple measures that customers can take to cut down their daily water usage. Contrary to what many people believe, fresh, clean water is actually a limited resource. Despite 70 percent of the surface of our planet being covered by water through oceans, salt water can only be consumed by humans after undergoing the hugely expensive desalination process. Around 97 percent of the Earth's water can be found in our oceans, while two percent is frozen up in glaciers and ice caps and a tiny fraction of water exists as water vapor in our atmosphere.That means less than one percent of all the water on Earth is fresh. On top of that, natural conditions such as droughts further limit access to clean and fresh water. As a result, its essential that consumers take steps to reduce water usage so that utility providers can meet the growing demands of an ever-increasing population. Save money: Families across North America pay their utility a monthly bill for the use of water, and this payment depends on how much water they use. By cutting down water usage and the usage of appliances that need water to operate, households can save a significant amount of money each month to spend on other things they enjoy. Allowing regions to plan for the future: With the UN claiming the world will have a “water crisis” by 2030, now is the time to start planning for how we will meet water demand in the future. By conserving water now, cities and regions will be in a better position to understand how future generations will have access to fresh water and how it can be used more efficiently. The less water wasted, the less clean water is contaminated: Excess water can put a strain on septic and sewage systems. This means dirty water seeps from sewage systems into the ground and contaminates fresh water. The less water we use within our communities, the lower the chance we have of this happening. What can consumers do to cut down on water usage at home? 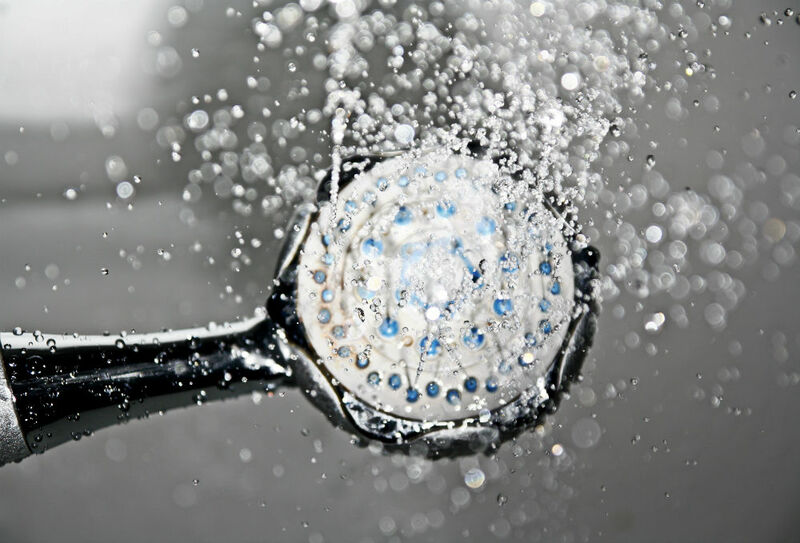 There are a number of ways that consumers can save water at home. In fact, by taking some simple steps they can reduce their water usage significantly. Turn off the tap while brushing your teeth. According to the National Geographic, water comes out of the average faucet at 2.5 gallons per minute. Turn off the tap while washing your hands. Take showers instead of baths. It takes about 70 gallons of water to fill a bathtub. Fixing leaks, such as faucets and pipes, can result in big water savings over a month. Choose efficient appliances. These could include low-flow showerheads, a smaller dishwasher and more energy efficient washing machines. Don’t run dishwashers and washing machines until they are full. Install a rain barrel and use the water collected to water your plants rather than wasting water through a hose or sprinkler. We have looked at what the issues are with excessive water usage and just some of the ways that consumers can cut down on the amount of water they use at home, but what exactly can utility providers do to help consumers cut down their usage? Stay tuned to the second part of our blog on water conservation, where we will explore exactly what utility providers can do to help their customers conserve water. 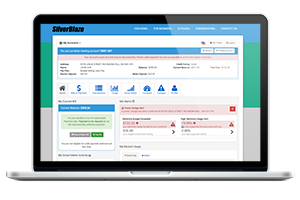 Have any questions or want to learn more about how the SilverBlaze Customer Portal solution can help utility providers encourage their customers to conserve water? Feel free to contact SilverBlaze today, our team of experts would be more than happy to help.